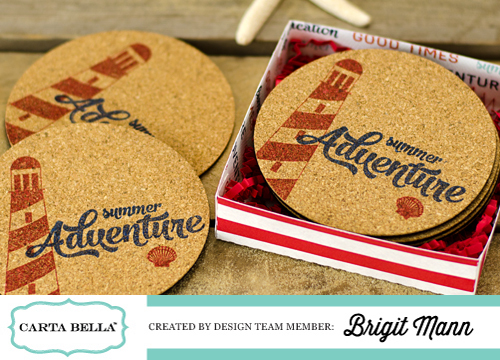 My watermelon gift set that's in the new 2014 July addition of Echo Park/Carta Bella's Idea Book Craft and Create. The book is free just download it and take a look at all the great designs and ideas from all the wonderful designers. Echo Park and Carta Bella has some of the best paper collections and now they are stamps and dies to go with a lot of the newer ones. 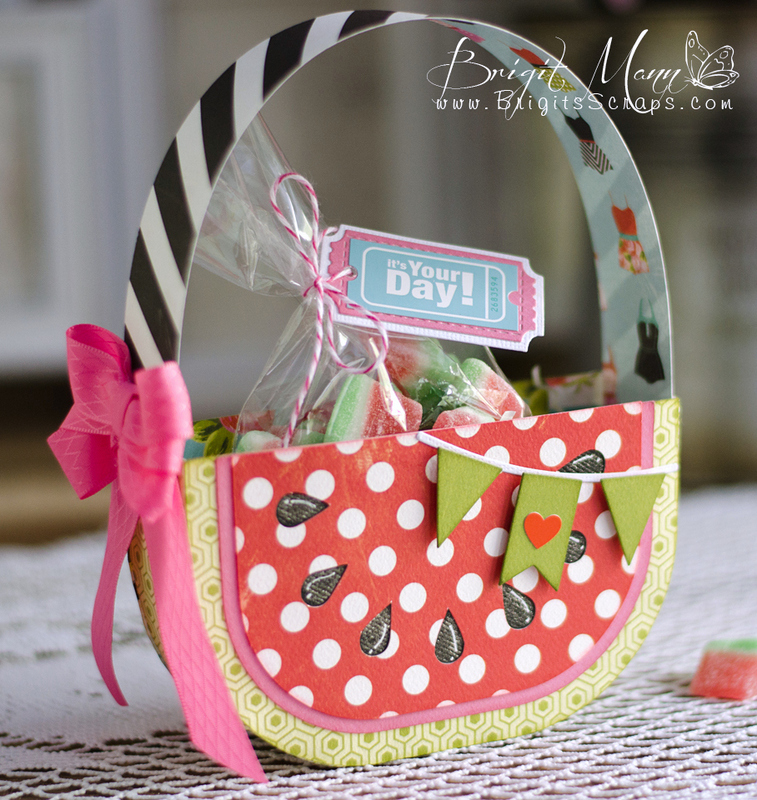 The watermelon basket is one of Lori Whitlock's files, so cute! The card was made by welding two of Carta Bella's watermelon slices together. 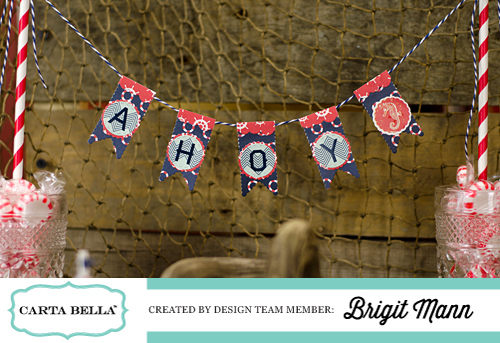 Carta Bella Ahoy There Nautical Party Theme! Hi everyone!! 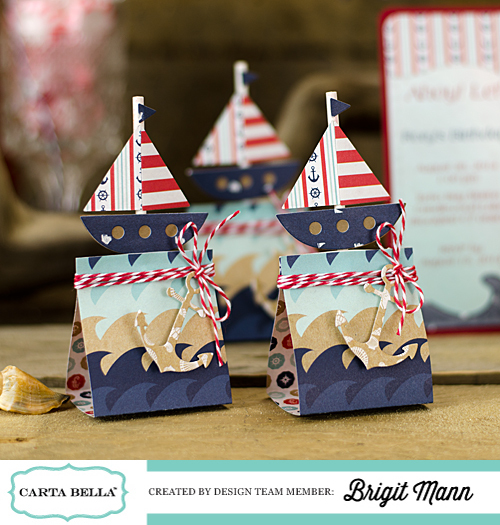 I have a nautical party theme to share with you today using Carta Bella's Ahoy There paper collection and dies. You can find the supplies and directions on how I made these all in Echo Park/Carta Bella's new 2014 July Craft and Create Idea Book. I had so much fun putting these all together! 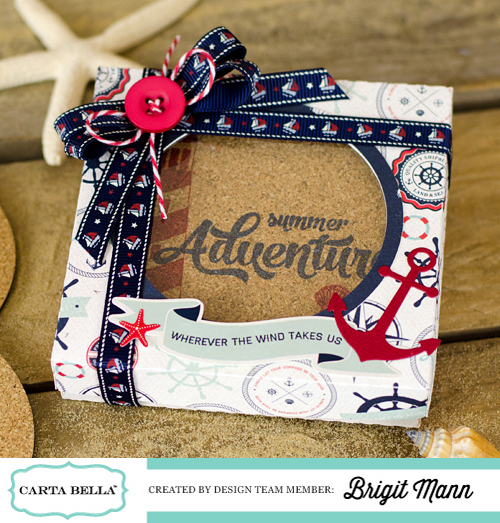 Sailboat Candy Dish - you can find the file for the boat bottom here at Papertrey Ink. I imported the pdf into SSDE and adjusted it making it bigger and I also made the bottom wider to fit more candy. 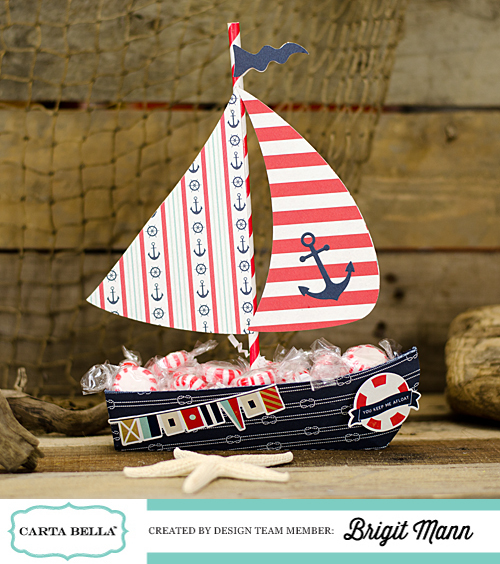 It's such a cute boat and makes a great centerpiece! 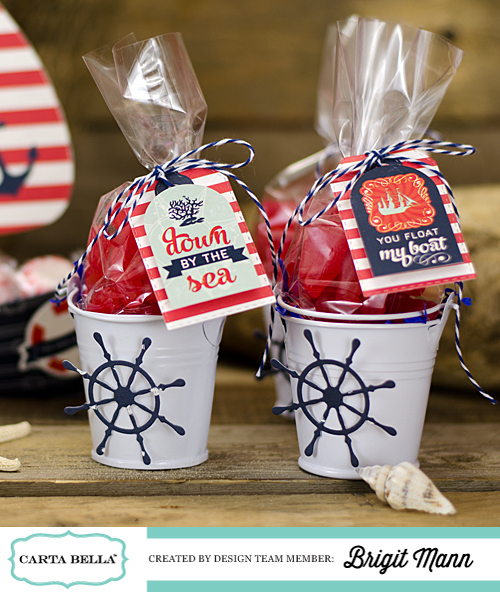 Sailboat Lollipop Holders - the directions for these are in the idea book, so quick and easy to put these together. You can make 3 from a sheet of a 6 x 6 paper pad. 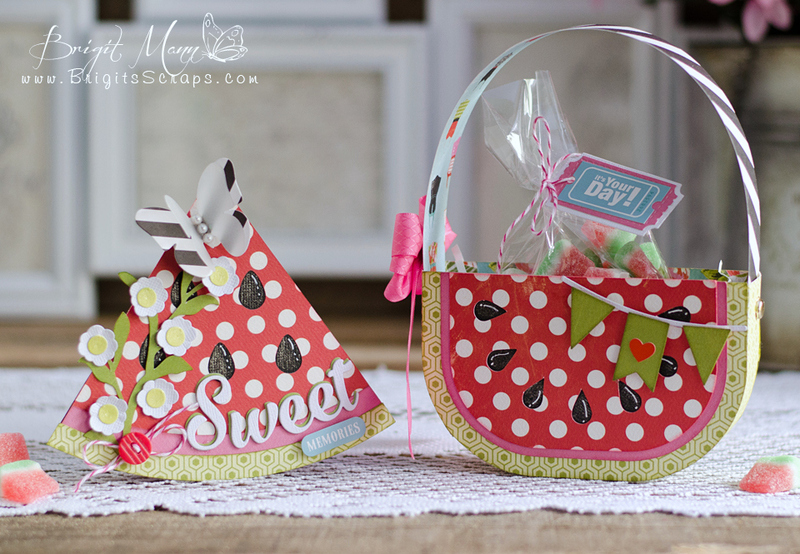 Bucket of Fish Candies - The buckets I picked up at the dollar store, they make such cute treat holders. 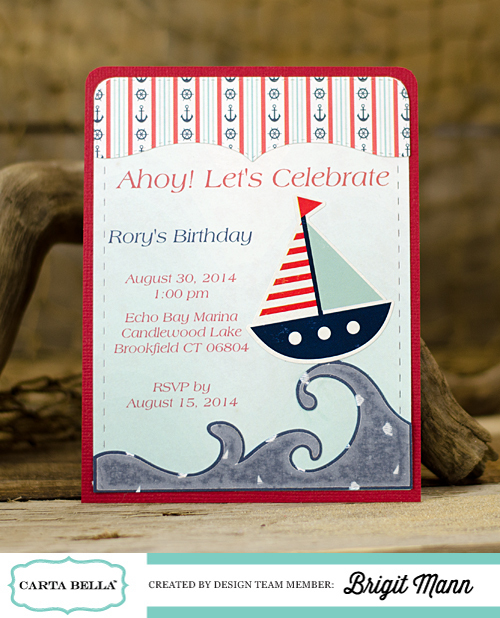 Party Invitation - Made this simple for mailing, easy to make a bunch for your party! Banner - this would look cute on a cake or some cupcake too! Don't forget to check out the Free Idea Books, great projects inside. Hi everyone!! 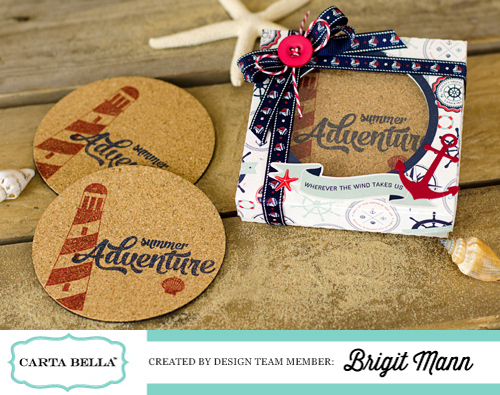 Here's a quick and easy coaster gift set using Carta Bella's Ahoy There collection with matching stamps and dies. 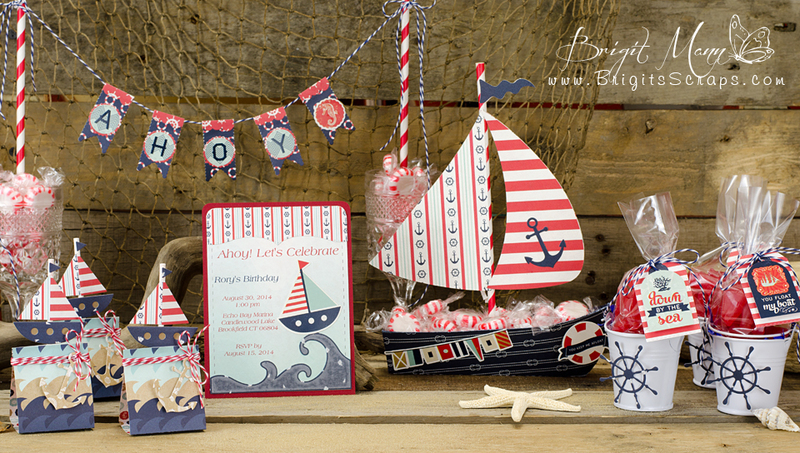 Nautical themes are one of my favorites so when I saw this collection I totally fell in love with it. The fabulous rich colors and classy style of this collection will truly make your projects shine! For the coasters I used adhesive backed cork and attached them to a piece of felt. I than ran them through my manual die cut machine using a 3 3/5” circle steel die. If your die won’t cut through both together cut them out separately then adhere. Use the stamps to design them; I used memento dye ink on mine. The box is about 4” x 4” x 1”d and fits around 6 coasters nicely. The die cut I used comes with two boxes and a band, you only need one, I size the whole thing to 13.25”w and kept the one box with lid. I used a 2.9” circle to cut out the center of the lid. For the blue border on the front I duplicated the circle and made an .2 offset and joined them together using the make compound path. Added some clear acetate on the inside of the lid and decorated with ribbon, button, twine, some elements stickers and the anchor die from the new designer dies set. I love my Silhouette Cameo but dies are great to put together a project quickly and you really get to use up all those scrap pieces of designer paper. I tested these dies on the same cork sheets I used for the coasters and they cutout perfectly. 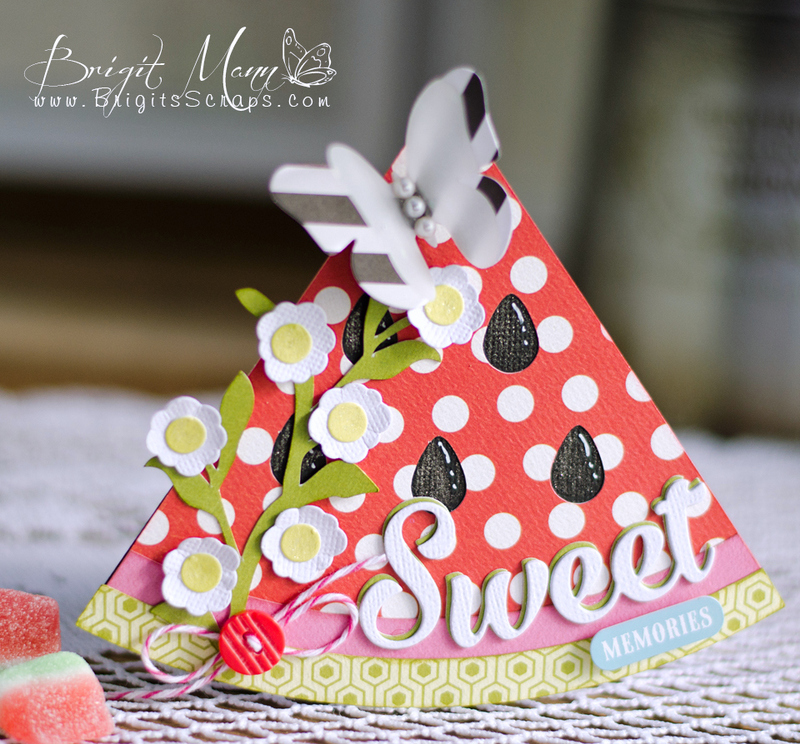 Peachy Keen Stamps July 2014 Release and Reveal Blog Hop! Release and Reveal Blog Hop! The past two days have brought some positively adorable creations for Christmas using these new stamps, and tonight, we are thrilled to be able to share this new release with you in its entirety! The past two days have been filled with adorable snow people, elves, Christmas ornaments and greens, as well as sweet new peachy faces! The time we've been waiting for has finally arrived! It's time for us to share our July 2014 Release with you! These stamps are now available at Peachy Keen Stamps Store and we know these adorable designs are going to have you excited to start creating all of your holiday projects. 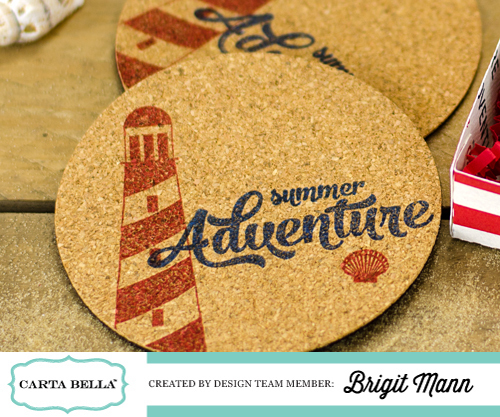 We've got a little blog hop going on in celebration of these new stamps. You'll find the complete list at the bottom of this post and we'd LOVE IT if you could hop along with us to check out more of the super amazing projects from our Design Team! We're going to give one lucky person who hops along and leaves a comment a $50 Peachy Keen Gift Certificate to do some shopping in the PKS Store! That sounds like fun, so without further ado, on with the reveal and hop!! We want to say thank you to all our loyal peachy friends by offering a little something to say thanks for hopping along with us. For ever comment you leave here and on the designer blogs, you'll receive one entry for a chance to win a $50 Gift Certificate from PKS. We'll choose one winner randomly from all the comments and announce that winner here on Monday. Good luck and happy hoppin'!!! 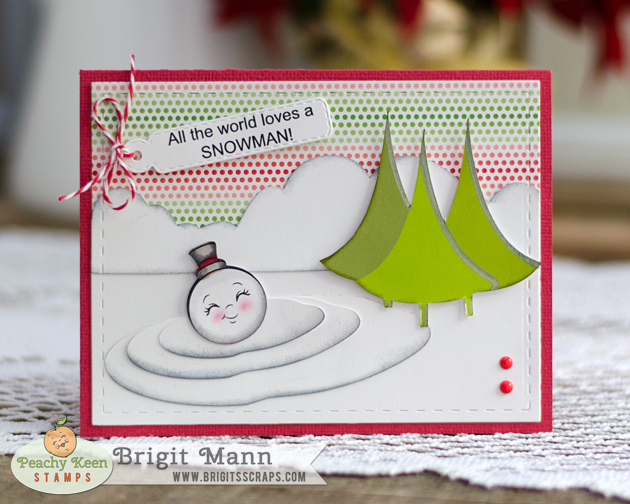 Now hop on over to Liz's Blog to see what wonderful projects she has created with the new stamps!! new stamps that will be released this Saturday, July 5th. One lucky person who comments here and or on our designer's blogs tonight will be drawn randomly to win ALL 5 of the stamps sets being showcased this evening!! That's such a SWEET and WONDERFUL prize, so don't be shy! Leave your comments and tell us what you love about this release!! We're REALLY glad you could join us for some more Christmas fun tonight! This is our last night of sneak peeks, and we're so excited for tomorrow night when we can reveal this entire Christmas release to you and do some blog hopping for a chance to win a $50 Gift Certificate to Peachy Keen Stamps! 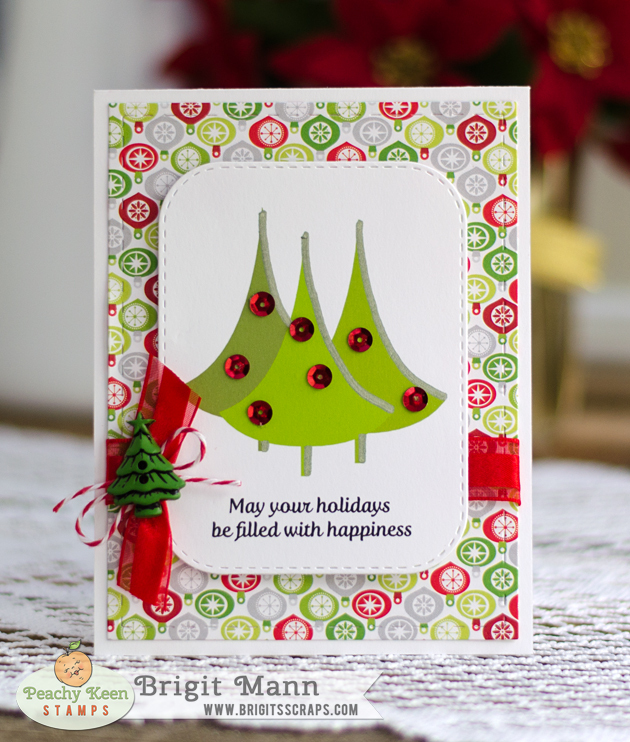 No, no, no… NOT outside, but at Peachy Keen Stamps it’s looking a whole lot like Christmas!! Here we are celebrating Christmas in the midst of Summer and 4th of July celebrations! This is a much anticipated event for us, and tonight we kick off our sneak peeks by showcasing five adorable stamps sets that will have you excited and ready to get started on your 2014 holiday projects. You DO know there are only 174 days left until Christmas don’t you? 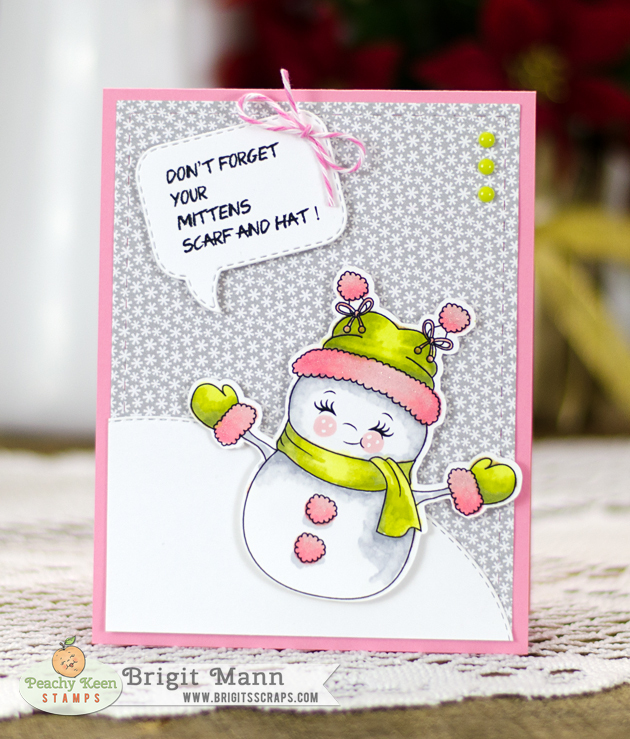 Take a break from the Summer heat and grab something cool to drink and join us as we share projects made with PKSC-31 July 2014, PK-1410 Christmas In July Faces (Assortment and 1 1/8″ sizes), PK-1412 Snow Hugs Snowman, and PK-1413 SMILE Snowman. 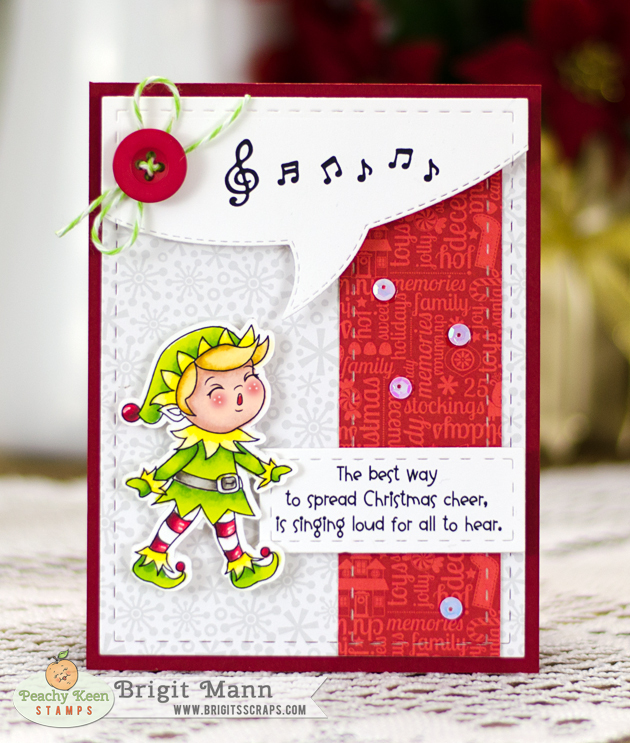 Be sure to stop by the Peachy Keen Stamps Blog where you’ll find even more Christmas creations from our talented team members, and be sure to leave your comments for a chance to win ALL 5 stamps sets you see showcased tonight. One lucky winner will be chosen from all the comments on all of the blogs and that winner will be announced in the following day’s post. The more you comment the better your chances of winning! Good luck!! Tomorrow night we have five more stamp sets to give you a peek at, and then on Saturday, July 5th we’ll be back with our Release and Reveal Blog Hop along with a chance to win a $50 PKS Gift Certificate!